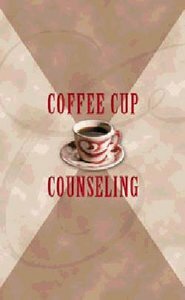 Dr. Harold Sala offers practical, biblical advice for "coffee cup counseling"--discussion between friends within a casual setting. Using the Bible as a guide, Sala offers ideas on helping friends identify the problems they face and recognize their options and leading them gently toward God's will. Though the author understands that there will be occasions when professional counseling is necessary, he offers Bible-based insights on issues such as anger, fear, worry, depression, substance abuse, and sexual addictions. The philosophy of Coffee Cup Counseling is summed up in the title of its first chapter: "You Can Help People! ", even over a cup of coffee at your kitchen table. - Publisher Using the Bible as a guide, Sala offers ideas on helping friends who ask for help. About "When Friends Ask For Help"
Using the Bible as a guide, Sala offers ideas on helping friends who ask for help. Harold J. Sala es la voz de Guidelines-Five Minute Commentary on Living [Pautas-Comentario de cinco minutos sobre la vida], que se escucha en 49 de los 50 estados de Estados Unidos y en mas de 100 paises. Tiene un doctorado en la Biblia en Ingles y es muy conocido internacionalmente como orador, escritor y maestro de la Biblia. Desde 1963 ha trabajado en Guidelines International, de la que es fundador y presidente. Ha escrito mas de 40 libros, incluyendo su reciente devocional Today El hoy cuenta!] y el libro Profiles in Faith [Perfiles de fe], que se hizo acreedor a un premio.